And this is where we get the most common grammar mistake. The most common grammar mistake is to use a singular subject (one person or thing) with a verb in the third person singular (the verb has the “s”) but then refer to the subject with a plural pronoun. Perhaps an example will help here. Let’s build a sentence part by part, and see what is happening. Start of incorrect sentence: “Everyone” – This is 1 person because it refers to each individual person, so it is singular. Ending incorrect sentence: “to spend their money wisely.” –The pronoun in this part is “their,” and it refers to the subject, “Everyone.” “Their” is a plural subject, which means it refers to more than 1 person. Here is the complete sentence with the grammar mistake: “Everyone needs to spend their money wisely.” This sentence has a singular subject, a singular verb, and a plural pronoun. The problem is the pronoun. For correct grammar, the pronoun needs to be plural or singular depending on the word it refers to. If it refers to a singular person or thing, it needs to be singular. If it refers to more than one person or thing, it, too, needs to be plural. The correct pronoun that can refer to “everyone” in this sample are “his,” “her,” “its,” and “whose.” These are all singular pronouns because they refer to 1 person or thing. This morning, I was reading one of my favorite blogs, The Motley Fool, and I came across this sentence: “Third, for someone who wants to maximize their time…” (http://www.fool.com/investing/general/2014/01/05/should-you-start-buying-stocks-in-2014-heres-what.aspx). Whoops, it contains the most common grammar error. The faulty sentence contains a singular subject, “who.” We know “who” is singular because it refers to “someone,” which is singular. We also know it is singular because it has a singular verb: “wants.” The verb ends in “s,” so it is third person singular. Thus, the sentence has a singular subject and a singular verb. Then we see the pronoun “their.” The pronoun is not singular; it refers to more than 1 person. And this is the most common grammar error. To refer to the singular subject, the pronoun needs to be singular, too. If we only change the pronoun to correct this sentence, we get these options. So what are we to do? Correcting the grammar error is simple. A plural pronoun (“their”) can only refer to a plural subject (“who”) that has a plural verb (“want”). Now that we have a plural subject and a plural pronoun, the sentence is correct. Here’s the advice: if you use a plural pronoun, such as “they,” “their,” and “them,” check the word it refers to. If the pronoun refers to more than 1 thing, it is correct. If it refers to 1 thing, the pronoun is incorrect, and you have made the most common grammar error. 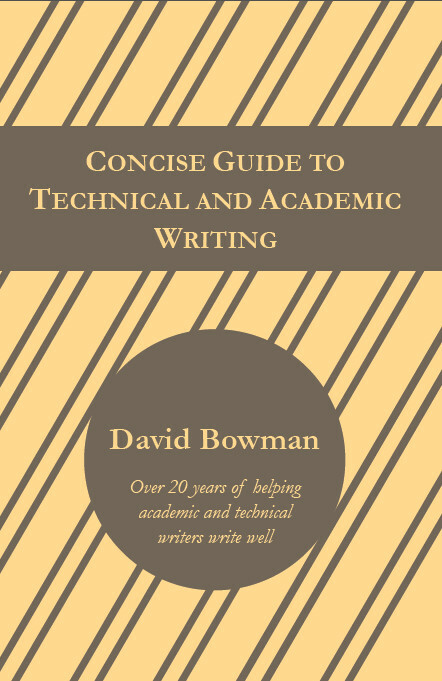 The writing guide “Concise Guide to Technical and Academic Writing” is a good source of information to help you understand—and fix—this and other common grammar errors. So, where do you stand on “you”. It’s a plural pronoun too, right? Yes, you is both a singular and plural pronoun. It is called the second person pronoun. I Am impressed with your advice on how to learn correct English.